HPPSC Answer Key 2019: HPS & AS Pre Exam Answer Key 2019 is available now for HPPSC HPS & AS Pre Exam 2019. The exam was organized by Himachal Pradesh Public Service Commission on 08 Apr 2019. 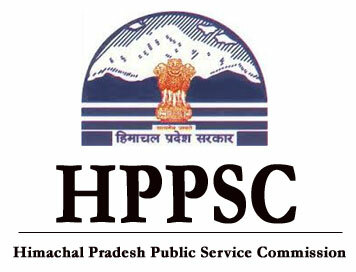 HPPSC HPS & AS Pre Exam Answer Key 2019: Himachal Pradesh Public Service Commission has issued the Answer Key on 08 Apr 2019 for HPPSC HPS & AS Pre Exam 2019 which was conducted on 08 Apr 2019. Answer Key can be accessed from the link given below. HPPSC Driver Answer Key 2019: Himachal Pradesh Public Service Commission has issued the Answer Key on 18 Mar 2019 for Driver Exam 2019 which was conducted on 16 Mar 2019. Answer Key can be accessed from the link given below. HPPSC CDPO Exam 2018 Answer Key 2019: Himachal Pradesh Public Service Commission has issued the Answer Key on 13 Mar 2019 for CDPO Exam 2019 which was conducted on 04 Feb 2019. Answer Key can be accessed from the link given below. HPPSC H.P. Judicial Service Pre Exam 2018 Answer Key 2019: Himachal Pradesh Public Service Commission has issued the Answer Key on 03 Mar 2019 for the exam. Answer Key can be accessed from the link given below. HPPSC Naib Tehsildar Mains 2018 Revised Answer Key 2019: Himachal Pradesh Public Service Commission has issued the Answer Key on 11 Feb 2019 for HPPSC Naib Tehsildar Mains 2018 Revised Exam 2018 which was conducted on 09 Oct 2018. Answer Key can be accessed from the link given below. HPPSC CDPO Answer Key 2018: Himachal Pradesh Public Service Commission has issued the Answer Key on 04 Feb 2019 for the exam. Answer Key can be accessed from the link given below. HPPSC Driver Final Answer Key 2019: Himachal Pradesh Public Service Commission has issued the Answer Key on 03 Jan 2019 for HPPSC Driver Final Exam 2019. Answer Key can be accessed from the link given below. HPPSC Assistant Engineer (Mechanical) Final Answer Key 2018: Himachal Pradesh Public Service Commission has issued the Answer Key on 31 Oct 2018 for Himachal Pradesh Public Service Commission Assistant Engineer (Mechanical) Final Answer Key 2018 which was conducted on 26 Jul 2018. Answer Key can be accessed from the link given below. HPPSC Naib Tebsildar Mains Answer Key 2018: Himachal Pradesh Public Service Commission has issued the Answer Key on 23 Oct 2018 for the exam which was conducted on 09 Oct 2018. Answer Key can be accessed from the link given below. HPPSC Manager/ Project Manager (DIC) Revised Final Answer Key 2018: Himachal Pradesh Public Service Commission has issued the Answer Key on 30 Oct 2018 for the exam. Answer Key can be accessed from the link given below. HPPSC CDPO Revised/ Final Answer Key 2018: Himachal Pradesh Public Service Commission has issued the Answer Key on 28 Sep 2018 for the exam. Answer Key can be accessed from the link given below. HPPSC Asstt. Professor Answer Key 2018: Himachal Pradesh Public Service Commission has issued the Answer Key on 25 Sep 2018 for the exam. Answer Key can be accessed from the link given below. HPPSC Naib Tehsildar (Main) Exam 2016 Revised Answer Key 2018: Himachal Pradesh Public Service Commission has issued the Answer Key on 25 Sep 2018 for the exam which was conducted on 14 Apr 2018. Answer Key can be accessed from the link given below. HPPSC Asstt. Professor (CC) in Tours & Travels Answer Key 2018: Himachal Pradesh Public Service Commission has issued the Answer Key on 18 Sep 2018 for Asstt. Professor (CC) in Tours & Travels Exam 2018 which was conducted on 17 Sep 2018. Answer Key can be accessed from the link given below. HPPSC Assistant Engineer (Mechanical) Answer Key 2018: Himachal Pradesh Public Service Commission has issued the Answer Key on 14 Sep 2018 for Assistant Engineer (Mechanical) Exam 2018 which was conducted on 26 Jul 2018. Answer Key can be accessed from the link given below. HPPSC HPAS Pre 2017 Answer Key 2018: Himachal Pradesh Public Service Commission has issued the Answer Key on 27 Aug 2018 for HPAS Pre Exam 2018 which was conducted on 24 Jun 2018. Answer Key can be accessed from the link given below. HPPSC H.P. Subordinate & Allied Services (Pre) Exam 2017 Revised Answer Key 2018: Himachal Pradesh Public Service Commission has issued the Answer Key on 30 Jun 2018 for H.P. Subordinate & Allied Services (Pre) Exam 2017 which was conducted on 29 Apr 2018. Answer Key can be accessed from the link given below. HPPSC HPAS (Preliminary) Exam 2017 Answer Key 2018: Himachal Pradesh Public Service Commission has issued the Answer Key on 24 Jun 2018 for HPAS (Preliminary) Exam 2017 which was conducted on 24 Jun 2018. Answer Key can be accessed from the link given below. HPPSC Naib Tehsildar (Preliminary) Exam Answer Key 2018: Himachal Pradesh Public Service Commission has issued the Answer Key on 17 Jun 2018 for the exam which was conducted on 17 Jun 2018. Answer Key can be accessed from the link given below. HPPSC Research Officer Answer Key 2018: Himachal Pradesh Public Service Commission has issued the Answer Key on 16 Jun 2018 for Research Officer Exam 2018. Answer Key can be accessed from the link given below.